HomeBusinessWhat is Mike Ashley’s plan for the High Street? November 2, 2018 Business Comments Off on What is Mike Ashley’s plan for the High Street? What is Mike Ashley’s game plan? The founder of Sports Direct seems intent on taking over the UK’s High Streets. This week the businessman, who has a retail empire that spans budget sportswear and luxury fashion, added Evans Cycles to the High Street names in his sprawling and intertwined retail empire. The cycle chain came wrapped for a quick sale in a special arrangement which freed it of its debts. The price tag was just £8m for the cycle chain after it had been placed into administration. It followed the £90m deal by Sports Direct in August to buy House of Fraser, after the department store chain had been placed in administration. Richard Hyman, a strategic adviser to retailers, said: “I don’t really think he’s got a strategy as such. He’s an opportunist. 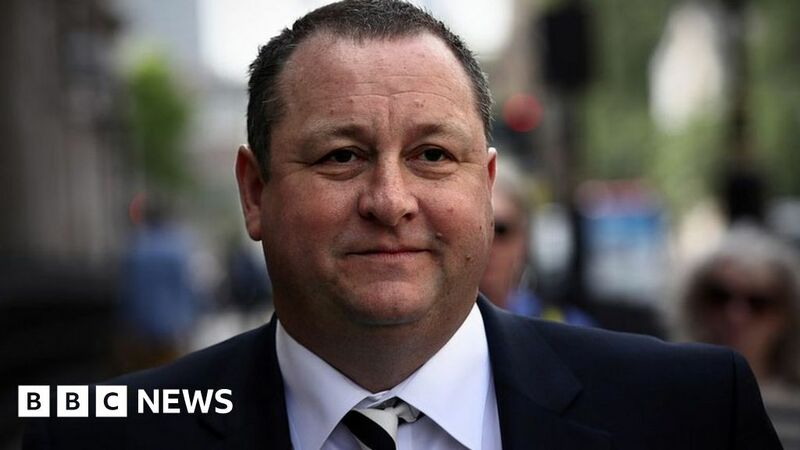 The deals have been bolted on to a business that traces its roots to 1982 when Mr Ashley started Sports Direct with one store and a £10,000 loan from his parents. In 2007, Sports Direct was floated on the stock market, by which time it had more than 400 stores, owned Lillywhites in London and brands such as Donnay and Slazenger. Not all of his interests are held through Sports Direct, but they now include a substantial property business, clothing chain French Connection, lingerie chain Agent Provocateur, the upmarket clothing outlets Flannels and Cruise and more brands, including Firetrap and Lonsdale, and, of course, Newcastle United football club. Richard Lim, chief executive of Retail Economics, doesn’t think there’s a concrete plan. He says Mr Ashley’s deals are a “combination of both strategic and opportunistic”. But the purchase of the Evans Cycles chain – where Mr Ashley admits he will shut half of the 62 shops – does fit with his plans for dominance in the field of sports. “There are [acquisitions] that are clearly relevant. Evans is in that camp. In conversation with Mike five years ago [about] areas of sports and leisure he wasn’t involved in, he’d put cycling and fishing in that camp. Evans is relevant to the sports retailing business,” said John Stevenson, analyst at stock brokers Peel Hunt. Goals Soccer Centres, the five-a-side football business in which he also holds an interest, also falls into the category. Others, though, are less obvious. Think Debenhams – in which Sports Direct has a-near 30% stake – and Game Group, where it has also amassed shares. The stake in Debenhams – partly amassed through a complex financial trade – is not being used as a prelude to a full takeover. That was set out in September when Simon Bentley, a non-executive director of Sports Direct, clarified remarks he had made that he did not intend to infer a merger between House of Fraser and Debenhams was being discussed. Figuring out what Mr Ashley is planning is not made easy by his less-than-warm relationship with the investment establishment. Mr Stevenson said they “don’t engage with the City about what their strategy is”. But Mr Ashley has perhaps tried to define his own strategy through eye-catching slogans: The “Selfridges of Sport” for Sports Direct and the “Harrods of the High Street” for House of Fraser. These, though, have provoked some scepticism. “There are hundreds of High Streets in Britain but only one has a got Harrods on it. I think there’s a message there,” said Mr Hyman. But Mr Ashley is finding opportunities at a time when analysts talk about a period of unprecedented turmoil on the High Street. So what does he look for in a deal? Mr Lim said he will have “a stringent set of tests” as he seeks out well-known brands. Buying a company out of administration allows him to “trim off the fat”, Mr Lim said. Half of Evans Cycles stores are to be closed. And the purchases also come with lots of goods. Richard Hyman points to the stock that the chains are carrying. Evans, Mr Hyman said, carried £28m of stock. House of Fraser, Mr Hyman said, was “largely about buying a pile of stock at a heavily discounted price which he can then sell and make a handsome profit from”. Mr Hyman adds: “Has he got courage? Yes”. If nothing else, his shopping spree has been a bold one.